Showing 1 - 18 of 18 results. 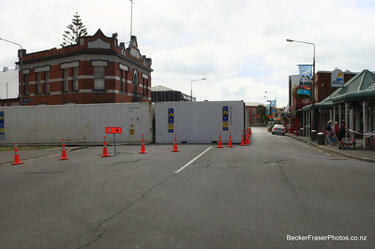 Photograph captioned by BeckerFraserPhotos, "Site of former Sumner community centre and library". 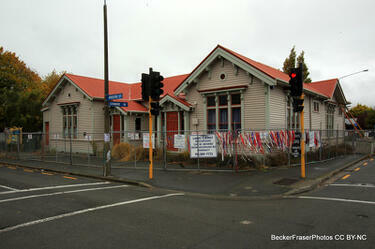 Photograph captioned by BeckerFraserPhotos, "Linwood Community Centre - corner Stanmore Road and Worcester Street". A view across Fitzgerald Avenue to Chester Street East, including the historic Crichton Cobbers Youth and Community Centre building. 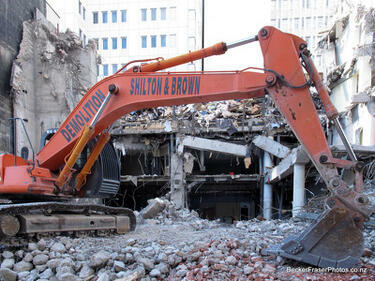 Sections of the building's walls have collapsed and a fence has been erected around the base of the building as a cordon. 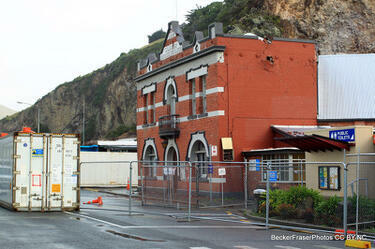 A view across Fitzgerald Avenue to the historic Crichton Cobbers Youth and Community Centre building. 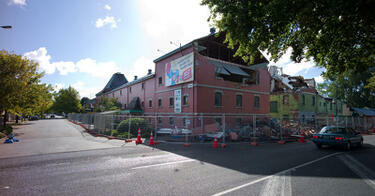 Sections of the building's walls have collapsed and a fence has been erected around the base of the building as a cordon. 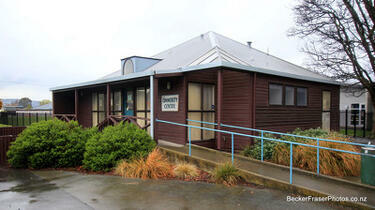 Photograph captioned by BeckerFraserPhotos, "Sumner Community Centre". Photograph captioned by BeckerFraserPhotos, "Sumner Community Centre, Wakefield Street". Photograph captioned by BeckerFraserPhotos, "The Community Centre at 141 Hereford Street". 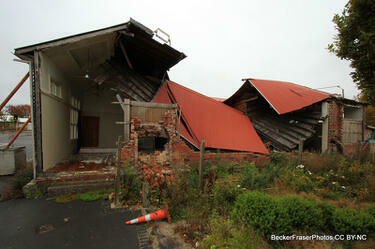 Photograph captioned by BeckerFraserPhotos, "Woolston Community Centre - 476 Ferry Road". A view down Wakefield Avenue, showing the Sumner Borough Council building surrounded by road cones. 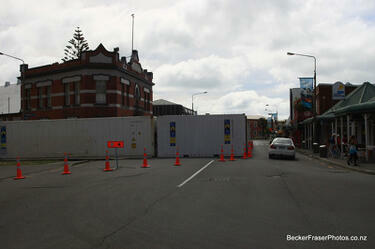 Shipping containers have also been placed around the building to protect road users from falling debris. A photograph of a sign on the exterior of the Lions Transitional Facility. The sign reads, "St Albans Community Centre. 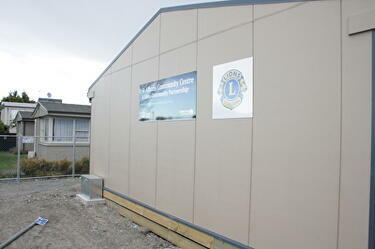 A Lions Community Partnership". 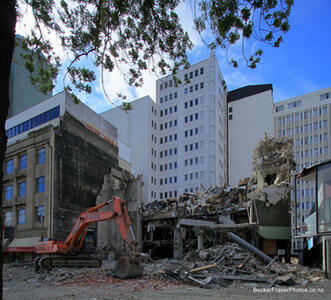 A PDF copy of pages 228-229 of the book Christchurch: The Transitional City Pt IV. 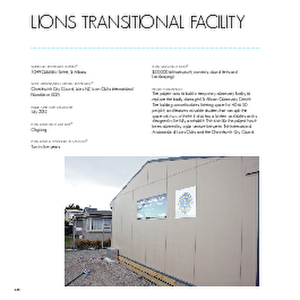 The pages document the transitional project 'Lions Transitional Facility'. 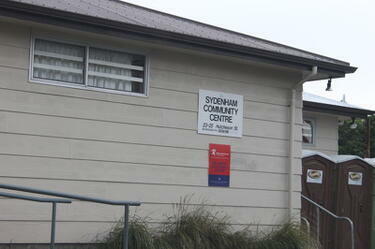 A photograph of a temporary Recovery Assistance Centre set up in the Sydenham Community Centre on Hutcheson Street. To the right, a line of portaloos can be seen. 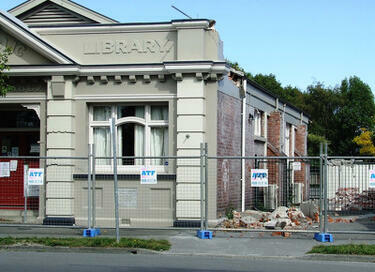 A photograph of the earthquake damage to the former St Albans Library on Colombo Street. 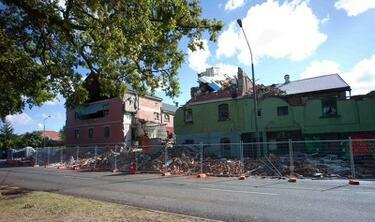 Parts of the walls have crumbled, the bricks spilling onto the pavement. Wire fencing has been placed around the building as a cordon. A photograph of the exterior of the Lions Transitional Facility. 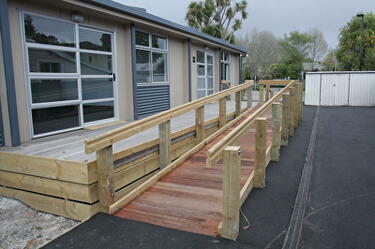 A wooden ramp leads up to the entrance to the facility. 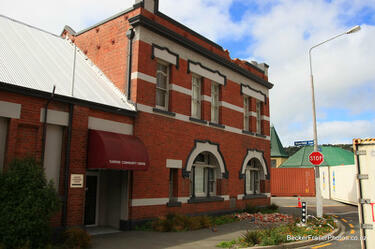 Photograph captioned by BeckerFraserPhotos, "Community Centre, 141 Hereford Street".